Public transport comprises of bus service and taxis. A 'shared' taxi service locally known as service taxis and much less expensive than a private taxi. Private car ownership is the 5th highest per capita in the world. Traffic moves on the left hand-side of the road, not on the right. Driving can be dangerous with winding roads and some agressive drivers so be alert at all times since Cyprus has a high fatality and accident rate despite increased police patrols and hefty fines. In addition to private car and motorcycle hire, there are many modes of transport that are safe and reliable. The main categories of Taxi's are Service/Intercity Taxi's, Urban Taxi and Rural Taxi. The intercity, "service taxi" is a shared taxi which is a 4 to 8 seat mini-van that operate at a fixed rate for each passenger. They are generally from a central town location to another central location, some stops can be made when requested to main locations. Service taxi's do not make stops or go into smaller towns or villages. These operate from Paphos, Limassol, Larnaca and Nicosia. Reservations for a Service taxi are required. They run every day except on public holidays. To reserve a Service Taxi in Paphos, call: 26 923800 or 77 777474. There are many private taxi companies that provide service to all areas of Cyprus. Taxis can be hailed in the street or you can call about half an hour to an hour ahead of time to reserve one. In Paphos town, there is Dafni Taxi company that can be reached at 26944377 and in Kato Paphos, there is Mayfair Taxi that can be reached at 26 954 200. For wheelchair accessible services and excursions, C&A Taxi can be reached at 99485976. There are also numerous taxi stands throughout all towns that you can stop by to get one or reserve. Fees can be discussed and arranged ahead of time for certain trips and tipping is optional, but many drivers do expect tips but no more than 10% if you decide to tip. Fares are metered after an initial starting fee and the metered rate is a fixed rate. Taxi fares are regulated by law and there are different rates for day and night. Also, don't be surprised at additional charges such as on some holidays, if the driver has to wait the meter will run, baggage weighing more than 12 kilos costs more if the driver helps (small fee and not all drivers charge it), Pets in carrying boxes are permitted but a fee may be charged. Rural taxi's service is available to more remote villages. Generally, pick off and drop off is from a taxi base unless you are travelling from the airport. Rural taxi's do not always have meters. Extensive plans are underway to expand and improve bus services and restructure public transport throughout Cyprus - the work on this is still ongoing but improvements have been notable. There is island wide bus service running every day and main routes have buses departing every 1-2 hours. Local routes have buses departing from main stops every 15 minutes in the summer. Buses around Cyprus and even in Paphos are not consistent in appearance, however the destination is usually displayed clearly in the windscreen. Bus time tables and schedules can be found at the tourist offices or from the bus companies. Some bus service stop at approximately 6:00pm and there may be limited service on weekends. Exact change is usually required and is paid to the driver. In July 2010, OSYPA Ltd. (Paphos Transport Organization) took over Paphos City Buses which had been operating since 1980. OSYPA has acquired new and modern buses, hired new and highly skilled and professional staff and participates in the new government programme of Public Transport. Rates on OSYPA buses are: 1 Euro - One Way, 2 Euros - Daily, 10 Euro - Weekly, 30 Euros - Monthly, 300 Euros - Yearly Fare. Some passengers ride for free and include children under 12 years old, students with a student ID card, Cypriot soldiers and anyone with a Cypriot Social Card. 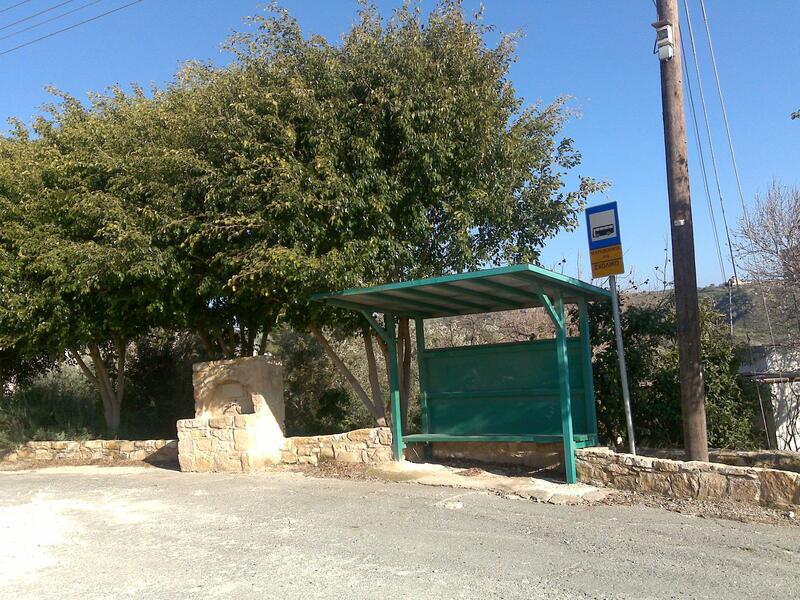 Bus routes run regularly and can be found on their website: http://www.pafosbuses.com/cyprus/buses/37 Or you can call 8000 5588 for more information. The main harbours are in Limassol and Larnaca and service cargo, passenger, and cruise ships. There are talks about reintroducing a car ferry service between Cyprus and Greece. There are two international airports, one in Paphos and a larger in Larnaca - both have recently been renovated (2009). Hermes Airports Ltd took over management and control of Larnaca and Paphos Airports in May 2006. They are under a 25 year BOT (Build-Operate-Transfer) concession agreement with Cyprus. Larnaca airport phone number is: 24 643633. Paphos airport can be reached at 24 816400 or email info@hermesairports.com to get information about either airport. From Larnaca airport to Paphos by taxi costs approximately 100 - 120 Euros depending if it is a day or night trip. Rental cars can be arranged in advance and picked up at the airport also. If there are cars available you can arrange it upon arrival.